One of the bigger issues I see with athletes who have shoulder dysfunction is upper trap dominance. The upper trap needs to work in concert with he lower trap and serratus anterior for optimal shoulder function. However, in many cases, it tends to dominate the action during elevation. I recently evaluated a professional baseball player who presented with upper trap dominance. In standing, his right scapula was elevated and slightly protracted. In many cases, you will see scapular infera in the dominant side of a thrower, but that was not the case with him. During active elevation, you could see excessive upper trap firing/activation compared to his left side. This can lead to altered glenohumeral mechanics and compression/irritation of the rotator cuff with repetitive throwing. In addition, I like to use shoulder snow angels as well. Click here to see how to perform that exercise. Together, these two movements can really help eliminate upper trap dominance in your clients. 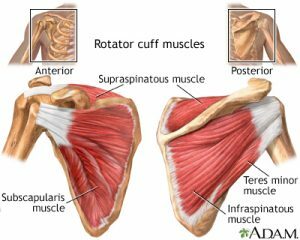 Rotator Cuff Tendinitis, Tendinosis or Tear? Shoulder pain is one of the most common issues I treat in my clinic week to week, There are many causes of pain, but the most common cause of shoulder pain in active individuals typically involves the rotate cuff. These relatively small muscles are called upon to manage high and repetitive loads during sports, work and daily activity. In some cases, there is just mild inflammation that does not limit function. In there cases, there is more acute pain that makes it hard to even raise the arm or use it for the most basic things. It can be difficult to really discern if there is significant injury as even acute tendinitis can be debilitating. In a blog post I wrote for my work site, I discuss the differences between tendinitis, tendinosis and tears of the rotator cuff. Click here to read more. If you have rotator cuff pain and are looking for a simple at-home rehab plan or injury prevention program, check out my training guide at www.rotatorcufftraining.com. I find that many patients and clients lack dynamic shoulder and pillar stability. Assessing this with tall plank arm taps or tall plank Y reaches can tell you a lot about one’s ability to stabilize and resist gravity in single arm support. In light of the insufficiencies I see, I prefer to use exercises that encourage integrated shoulder, torso and hip stability. Improving shoulder and torso stability is important for overhead athletes, wrestlers, MMA competitors as well as those with any shoulder instability. This exercise is a great way to build dynamic stability and postural stability. Click here to read my entire online column for PFP Magazine on this exercise including progressions and regressions. I think you will find this movement both challenging and rewarding for you or your clients. Shoulder impingement is a common problem for many clients. Specifically, some clients will suffer from internal impingement as a result of a significant loss of internal rotation range of motion, also known as GIRD (glenohumeral internal rotation deficit). 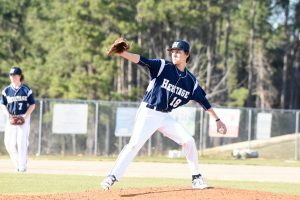 This has been widely researched in baseball players, and it is a common issue for overhead athletes. Of note, it can also impact those doing repetitive overhead lifts. It is common to see asymmetry in internal range of motion for the dominant and non-dominant arms. For those clients who have a total shoulder motion asymmetry greater than 5 degrees, it becomes more important to resolve internal range of motion deficits based on the current literature. In my previous post, I revealed how to improve soft tissue mobility. In this post, I will review the sleeper stretch and cross body stretch to improve posterior shoulder mobility while increasing internal rotation. The video below from my column ‘Functionally Fit’ for PFP Magazine will demonstrate how to do these stretches.